Hope you like them. If you see any corrections that need to be made, please let me know. Thanks! Welcome to day 6 of the Big Holiday Giveaway! Today’s featured designer is Little Yarn Friends! I’m sure you’ve seen some of Rachel’s patterns around the internet. She makes the cutest wedding dolls (and bears). Rachel has generously offered one of the patterns shown above for one lucky winner! My favorites are her Lil’ Agnes and Buzz Lightyear patterns. You can see more Little Yarn Friends on Craftsy and Ravelry. Follow Little Yarn Friends on Facebook for all the latest crochet-alongs and updates. Congratulations to our winners: Susan, Mia, Petra, Melissa, and Moby Knit! *Pack of 7 pair of Glow in the Dark yellow 7.5mm cat eyes (oval pupils) – Winner: Susan H.
*Pack of 2 pair of neon orange 7.5mm regular craft eyes (round pupils) – Winner: Mia A. 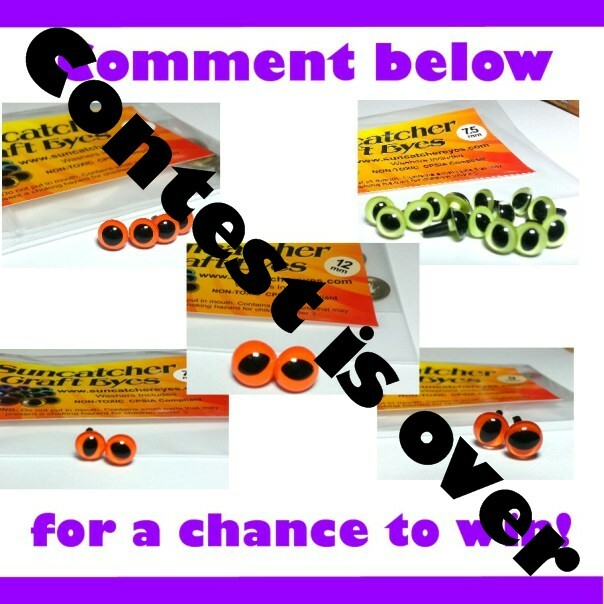 *Pack of 1 pair of neon orange 12mm cat eyes (oval pupils) – Winner: Petra E.
*Pack of 1 pair of neon orange 7.5mm cat eyes (oval pupils) – Winner: Melissa S.
My “oops” giveaways will now be taking place on my blog since Facebook has changed their rules and restricted giveaways so stay tuned for more! Want to choose your own Suncatcher Craft Eyes? Click here to shop now! What’s an “oops” giveaway? It’s when I paint the wrong size or wrong color, etc. When I goof, that’s when I’ll hold a giveaway to give them away. These eyes are not damaged or returns. Best of all, I paint a lot of eyes so there are usually “oopsies” every week. Stay tuned and follow my blog so you don’t miss any of these giveaways! It’s American Craft Week! 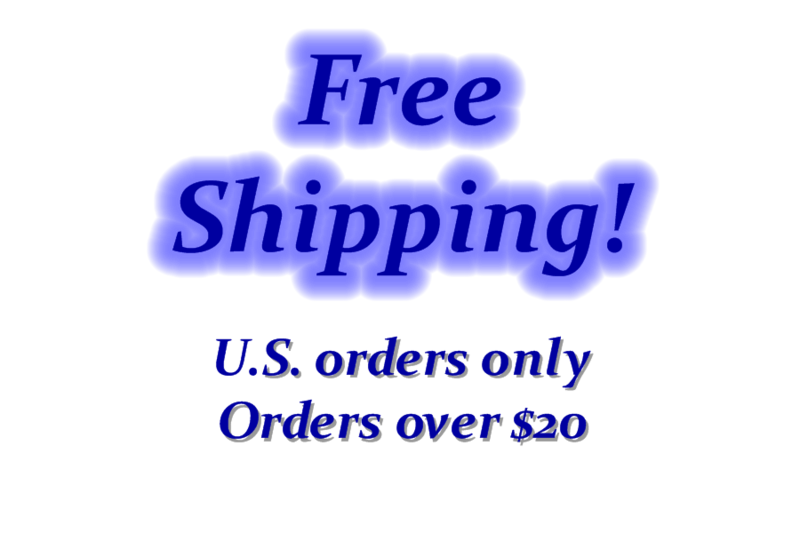 Let’s celebrate with free shipping! Happy American Craft Week! To celebrate I’m offering free shipping for all U.S. orders over $20. Discount will be applied at checkout. What are you waiting for? Have you seen our exclusive styles? You can’t find them anywhere else. How about sleepy eyes, chrome, or pinwheel? Have you seen these free crochet patterns? 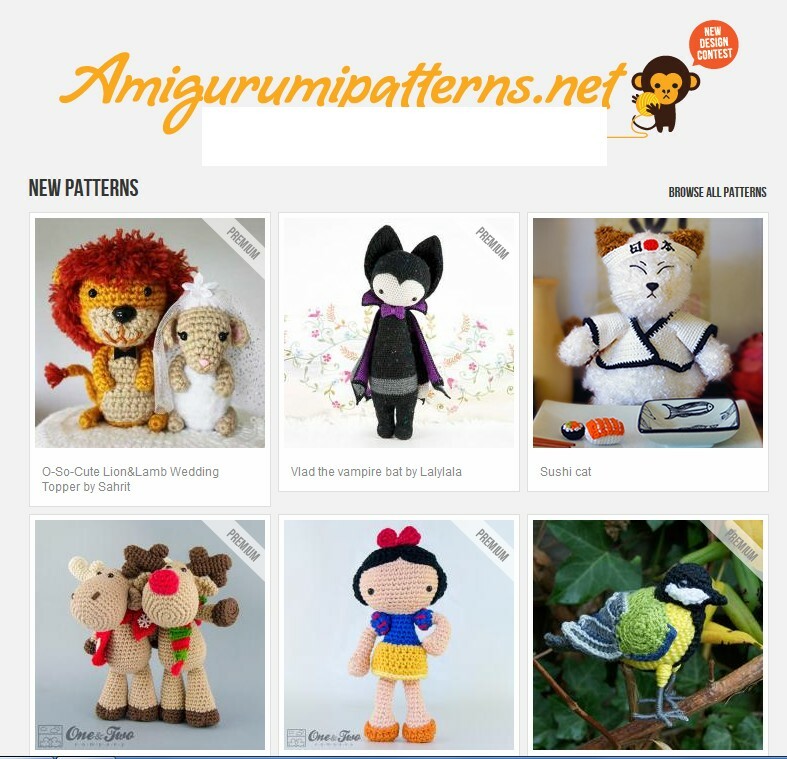 There are about 30 free amigurumi crochet patterns available on the Suncatcher Craft Eyes website. You can make a bird, bunny, clown, bears, baby, Emo doll, skater, kokeshi dolls, and lots more! Click on the photo above to see all the free patterns available. 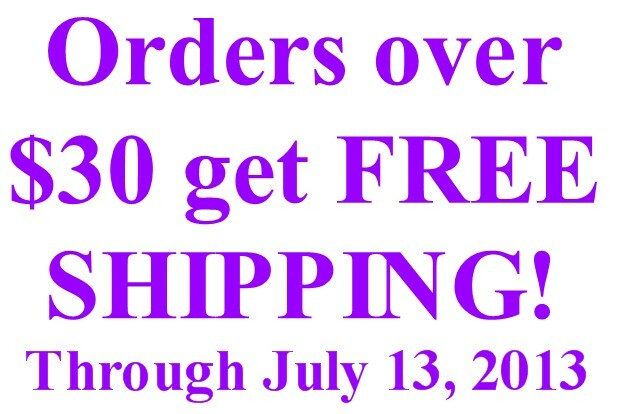 Now through Saturday, July 13, 2013, get free shipping on all orders over $30.00. Unfortunately this is only for my U.S. friends. Why are Suncatcher Craft Eyes called premium? See for yourself! Have you ever wondered why Suncatcher Craft Eyes are called “premium” craft eyes? There is a reason. There are a few different manufacturers and different price points of craft eyes, and the quality is very different. Some of these eyes are made with softer plastic, some have large chunks of plastic still attached, some have pupils that aren’t centered or are uneven, some have flaws in the eyes, and some have washers that are nearly impossible to attach. It took me a while to figure out who manufactured the best eyes and what manufacturers to avoid. Unfortunately the only way to find this out was to buy from all of them and compare over the years. I’ve lost money doing this (and have a lot of duds sitting around my house). It was worth it because now I know quality craft eyes when I see them, and that makes me more confident in my business knowing that I only offer the best. Unfortunately it wouldn’t be good business for me to tell you who or what to avoid when buying craft eyes, but I can offer to let you see for yourself. 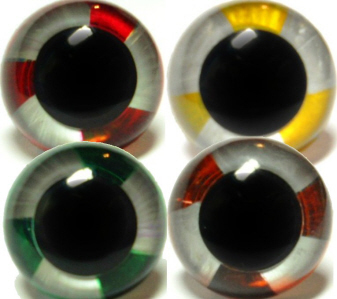 If you are using craft eyes that you aren’t happy with, I have an offer for you. A photo of the craft eyes you bought somewhere else (with the washer backs in the photo as well). The size of Suncatcher Craft Eyes you want. A few color choices (not all colors may be available). Once I have your information, I will send you 1 pair of Suncatcher Craft Eyes so that you can see the difference for yourself. This is first come, first served so hurry while supplies last. North American customers only at this time (sorry my international friends!). To say thank you for helping Suncatcher Craft Eyes achieve another successful year, all orders worldwide will receive free shipping now through the end of the year. This will happen automatically when you check out with no coupon code required. Thank you for your support and encouragement as Suncatcher Craft Eyes continues to grow and expand our market. I look forward to an amazing new year thanks to all of you. Wishing you much love, happiness, and joy in the new year.